For over 25 years The Truss & Frame Factory in Kelso (3 kms from Bathurst centre) has been the name builders throughout Central West NSW trust for advice, design, manufacture and delivery of timber roof trusses, wall frames and flooring systems. With all the associated hardware and materials to make on-site construction as fast and easy as possible. If you thought all truss and frame companies were the same take some time to discover the Truss & Frame Factory difference. It is a difference we have worked hard to establish. And we work even harder to stay ahead of the rest. Contact us to discuss your next residential or commercial building project. We look forward to helping you. 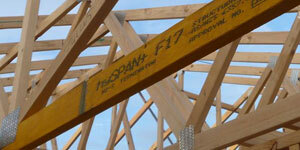 We regularly deliver custom designed timber trusses, frames and flooring systems to builders in the following areas. : Bathurst region; Orange region, Cowra, Blayney, Oberon, Lithgow, Mudgee & Gulgong, Kandos & Rylstone, Upper & Lower Blue Mountains, Western Sydney. And over the years we have delivered to many other regions throughout Australia. Contact us today to see how we can make your next building project easier.